I remember the old days, before we had the internet or even cell phones. Back then, finding a cool new axe to add to your toolkit was much harder. I remember the first time I tried to find a fretless bass guitar for sale here in Austin. You had to know which stores carried fretless basses. They were hard to come by. Almost no one sold quality fretless bass guitars second hand. And if you live more remotely, far away from a major metro area, your options are even more limited. I grew up in a small town in south / central Louisiana, and never saw a fretless bass in person until I moved to a larger city. Sure, there were other workarounds in our “paper-centric” world. You could look in the classified ads, like the local Austin Chronicle here where I live. That was hit or miss. Or you could sign up for a catalog direct from a manufacturer, like Carvin (where I bought my second ever fretless, and the six string that remains my favorite today). Yes, the same Carvin that sold off their luthier business to a third party and now focuses on amps and accessories. So the options were limited, without a doubt. Today though? Options abound. You could still go to a local store. That’s a great idea if you have any that carry fretless basses locally. Even if they do, most stores only carry one or a few from what I’ve seen. So options are limited. No, if you want to have the full range of basses to select from, online is the way to go in 2018. Let’s look at some of today’s online options. Note that this list is primarily focused on the USA (with one special site at the end that’s worldwide), although you could certainly buy online from any country. If there’s demand for it, I can consider writing a follow up about non-USA based options as well. Of course, you could start by going direct to the manufacturers. I won’t make a laundry list here, because you can go directly to the Pedulla or Michael Tobias (or whichever you prefer) website. Do you like a particular brand? Search for it on Google and order direct. 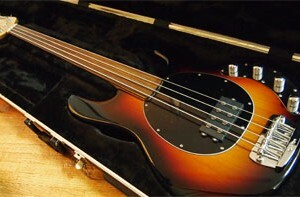 That’s easy, if you have ample budget to invest in your next Fretless Bass Guitar. But many of us are either limited in funds and/or looking for something used that just needs a new loving home. Here are some of the better options for finding whatever specific model you want online. eBay has been around for a long time now. They’ve always been the leader in online auctions, and have helped many a solopreneur build online businesses in their spare time. You can literally find almost any product you want here. And of course, that includes fretless basses. Not all items sell via auction. Many items listed on eBay sell at a pre-set price. You can fine either version of pricing for these instruments, and it’s well worth checking out what they have listed. If you want to check out what’s available, go here to see your new Fretless Bass Guitar For Sale On eBay. One advantage of buying via eBay is their money back guarantee, if an item never arrives, or isn’t the same as described / promised in the listing. That takes away a lot of the risk you get from buying second hand from another individual. Yes, that’s right. You can even buy instruments on Amazon, including fretless bass guitars. While the selection is typically limited to more well-known and easy-to-acquire brands like Dean, Ibanez, and similar, I had to include it. And to boot…if you have an Amazon Prime account, limit search results to Prime Eligible only to get free shipping. That’s a huge discount over other vendors who still charge shipping on larger purchases (a rare, but still not obsolete practice). Start by browsing here at the Bass Guitars Category . If you live in a larger metro area, you almost certainly have a Guitar Center somewhere local. Start first by visiting the store to see if there are any fretless basses in stock. I’ve found that they tend to keep only 3-5 new fretless bass guitars in stock at a time. Sometimes, they will also have one or a few on consignment (i.e. used). 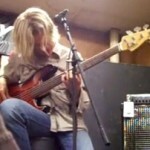 In these cases, go ahead and play around on the available instruments. You may find one you really like, and I’m a huge fan of playing the model of bass before I put down my hard earned cash for it. 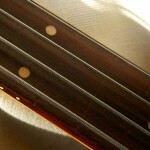 Unless your store has a lot of fretless basses, however, you’ll need to look online for a larger selection. Go here to check out the Fretless Bass Guitars for Sale at Guitar Center. Guitar Center also has a fantastic and flexible return policy, both for new items as well as consignment purchases (which can be shipped from anywhere). You can even take a product you bought online to a local brick and mortar Guitar Center to return for an immediate credit if you like. I’ve tried it, and it works exactly as described. Long established as a leader in online music equipment ecommerce, Sweetwater tends to have a good selection of low and mid range fretless bass guitars for sale. Sweetwater does a lot of different things in the music arena, from ecommerce to running a real world music studio on their HQ premises. With a wide range of offerings, you’d naturally expect them to have a decent assortment of basses available. Take a look at their fretless bass listings, and maybe you’ll find your next shiny new toy at Sweetwater. Originally launched as an online marketplace to buy and sell records, Reverb has become much more than that. Today, you can buy almost anything related to live music performance and recording on Reverb. 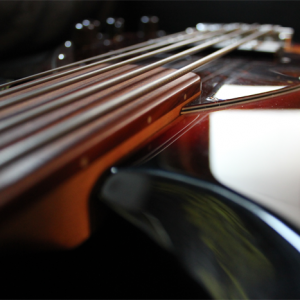 That includes guitars, drums, sound equipment, software, and of course, fretless bass guitars. I saw some pretty good options available on there. Reverb has a mix of new and used, and the prices can range from reasonable to a little excessive. Regardless, this is a great place to compare prices and models that aren’t available in a brick and mortar store wherever you live. 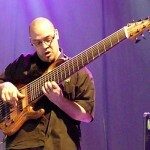 TalkBass.com is one of the oldest and well established sites focused on bass guitar across the entire web. They include a full classified ad section for buying and selling basses. While their selection of fretless basses ebbs and flows, you can often find some gems listed on the site. Take a look at the fretless bass guitar listings here. This one is worldwide, but they do indicate on each listing where the actual instrument is located. If you don’t want to pay hefty international shipping cost and/or deal with customs, you very well could find the fretless bass of your dreams on the site. They only had 11 fretless bass guitars listed when I last looked, but the list changes regularly. 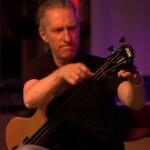 Go check out what they have available today on their fretless page. 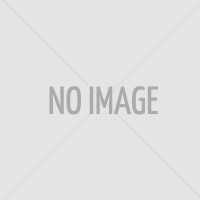 That completes my outline of some places to find a new fretless bass guitar for sale online. Surely I missed some other options. 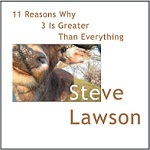 Know of one that is worth mentioning? Add it in the comments. I’m sure all of our readers will value your input as much as I will. NOTE: Feature image taken as a screenshot from the eBay website directly. Some of the links above include affiliate tracking codes. Please click through from here to shop on those sites and help support the ongoing operations of the Hub!